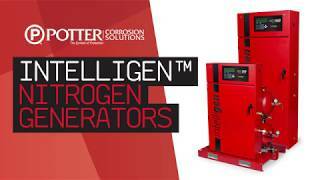 Potter's IntelliGen® Series of Nitrogen Generators are specifically designed to generate on-site, 98%+ purity nitrogen for use in fire protection sprinkler systems. When used as a supervisory gas in fire sprinkler systems, nitrogen slows corrosion, improves the life of your system, and lowers maintenance costs. The INS-250 utilizes nitrogen membrane technology for gas separation. Nitrogen membranes are highly effective and a cost conscious way of producing on-site nitrogen. Acting as a gas filter, the nitrogen membrane separates the oxygen and water vapor molecules in the air from the nitrogen molecules. The high purity nitrogen gas is then piped through the air maintenance device and into the fire protection system. As the system fills with nitrogen, the remaining oxygen molecules in the fire protection system are exhausted by using the Potter IntelliPurge® Nitrogen Purge Valve. 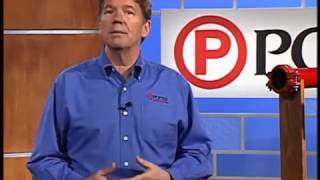 The Potter IntelliPurge® Nitrogen Purge Valve monitors the fire protection system to ensure high purity nitrogen is consistent throughout the sprinkler system. The INS-250 is a fully assembled package ready to be connected to a new or existing fire sprinkler system. This turn-key system includes an integrated air compressor, nitrogen membrane, tank, all air filtration equipment, and the Potter IntelliGen® Controller. 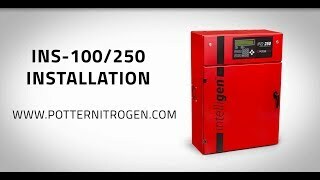 The Potter IntelliGen® Controller ensures the contractor the easiest setup and operation of any nitrogen generator system in the industry. Each unit is designed to be turned on and walk away. The built-in monitoring capabilities will make corrections and alert you to any necessary changes. Integrated 1/2 HP oil-less air compressor included to meet NFPA 13 required 30 minutes fill for 300 gallon system at 40 PSI. Handles up to 1,000 gallons of total sprinkler system capacity. Form C dry contacts for Building Management System (BMS) notification.